Bakers of the world know that bread and Bernard Clayton, Jr. go hand-in-hand. Bernard’s first cookbook, “The Complete Book of Breads” is a classic. This one was his second book and no less amazing. Home bakers wrote to Bernard after the first publication asking for more French-style breads, and this book was born. Bernard and his lovely, sweet wife Marge traveled all over France visiting boulangers (bakers) both famous and little-known. 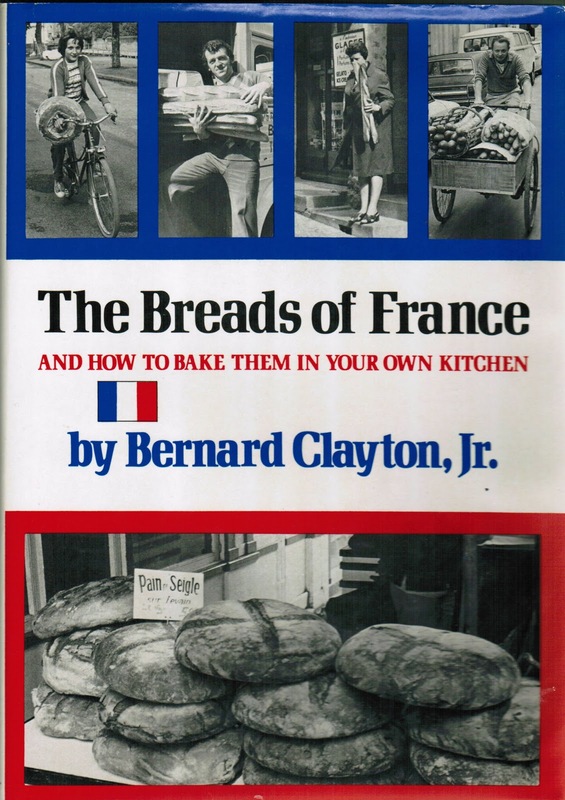 Together they persuaded the boulangers to part with some of their treasured recipes, then returned to their massive Indiana kitchen and started making the recipes to make sure they would work with American ingredients and in American ovens. The cookbook gives step-by-step instructions to be sure that anyone, even a beginner baker, will be able to serve warm loaves of bread with pride from their own ovens. 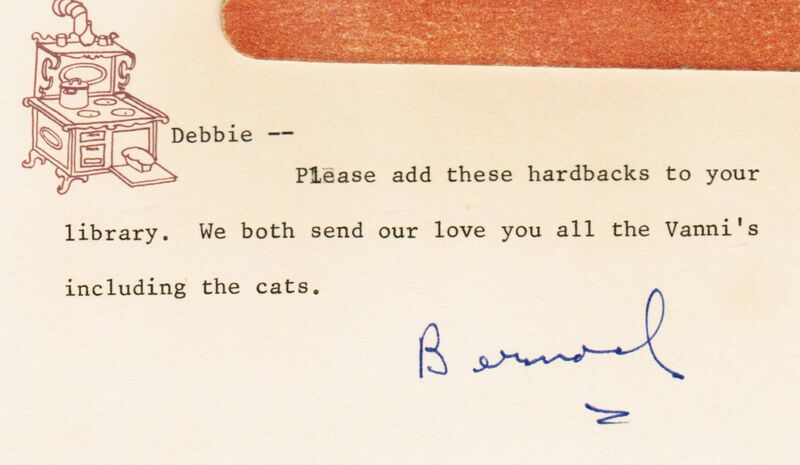 I love how he included the cats. 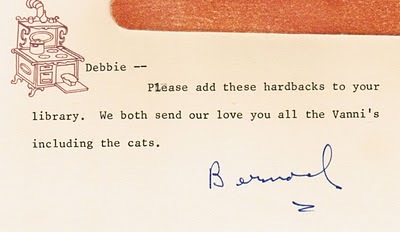 Bernard loved animals and had a beloved dog. One of the last times I had a visit with him, he kept telling me I had to read “Marley and Me.” He loved that book! The cookbook also reads like a travel guide of France. Marge and Bernard visited such places as the Rhone Valley, Rochefort-Montagne, Sisterton, Bayeux, Honfleur, Bayonne, Limoux, and many others including a time on the S.S. France. I can’t even begin to tell you all that you will find in this book. Bernard has a story for every place he visited, and every person he met. 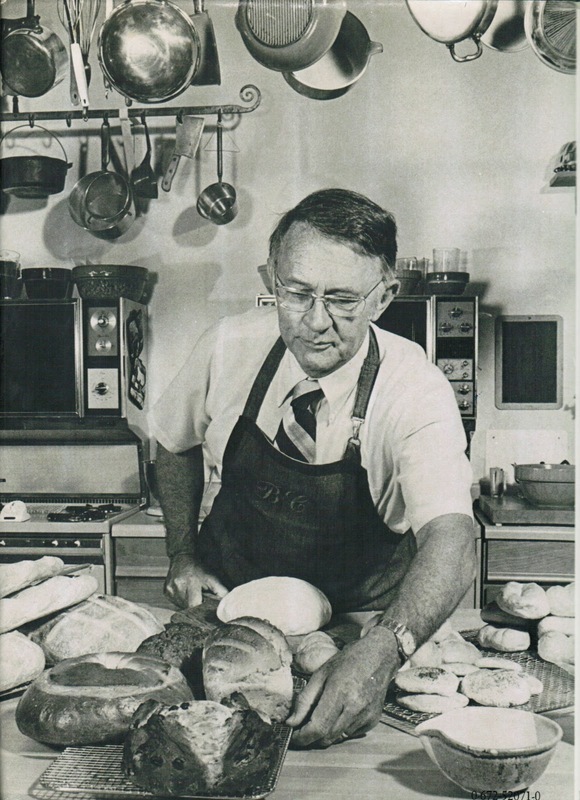 Bernard said it best as he described the love people have for bread: “It was clear that a great many people felt as I did, that working with something as warm, alive, and responsive as bread dough could be satisfying and pleasurable.” And you do it best Bernard. You are very much missed. I am proud to have known you. A Piece of American History – and the Best Cornmeal! Great review. I just got into making breads and I’m waiting for a Bread Enciclopedia,love the smell of fresh bread.